When we look down the runway at the Blaine Municipal Airport we can create alternative scenarios for this community facility that are different than those we have read about. Just imagine existing hangars full of various dimensions of tents to be set up during spring and summer months for diverse group, organization, association, union, and club conferences. Envision a perpetual international swap meet on this long plateau within grassy fields and lush ponds. Precise marketing for this entity will generate revenue for retail, dining and lodging businesses in The Peace Arch City. Utilizing colorful canvas tents in a variety of sizes and shapes allows for creative configurations with compelling pricing for each gathering. Several smaller groups could be scheduled simultaneously. Construction would be limited to restroom facilities which would be modern, well serviced and placed within the park. At the southern end of the plaza would be a super colossal outdoor cinema screen and bandstand presenting first run and classic international films and well known musicians and bands. 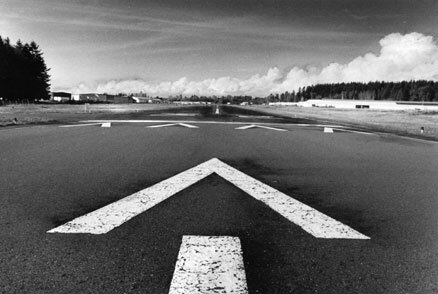 This novel Runway Park could give us wings to fly and help business really "take off."